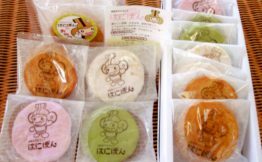 Soka senbei (rice cracker) with the illustration of Hanipon, the mascot of Honjo-shi. 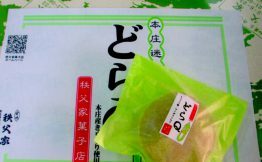 Four kinds of flavors such as soy sauce, white sugar, cherry sugar and maccha green tea sugar can be enjoyed. 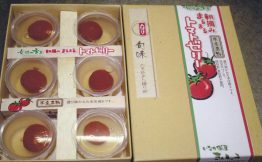 A product of cherry tomatoes wholly wrapped with transparent jelly. 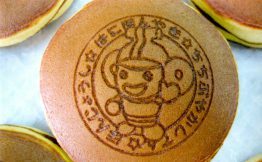 A Kintaro-ame (cylindrical candy Kintaro's face appears wherever which is sliced) with the face of Hanipon. 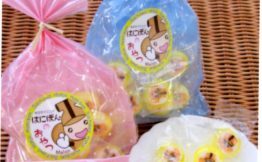 Its flavor varies by season including strawberry, orange, soda, lemon and apple. 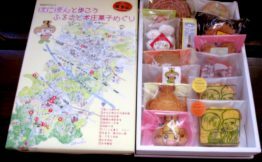 A gift set of baked confectioneries imagining notable sites and historical places of Honjo-shi. Popular madeleine softly and gently baked up with the use of local eggs. This product is characterized by its big size like an ohwaniguchi (a large gold-colored drum). Local eggs and strictly selected ingredients are used. A cake with a moist and rich flavor. 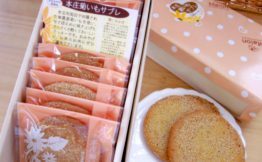 This product has seven flavors and models itself on Gunsho-Ruiju compiled by Hanawa Hokiichi. 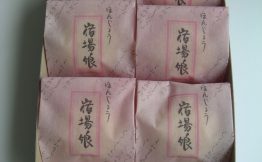 "Honey" in the name of this product means "Hani" as in "Hanipon" as well as "Honey" referring to "Hachimitsu"in Japanese. A delicious cake with gently rich flavors of honey and butter. 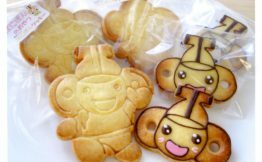 A cookie in the shape of Hanipon, the mascot of Honjo-shi. 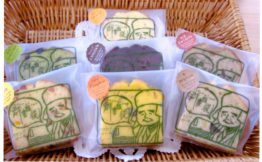 With carefully selected ingredients being used, this product can be safely enjoyed by all people. 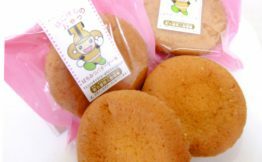 Crispy baked cookies that are not very sweet. 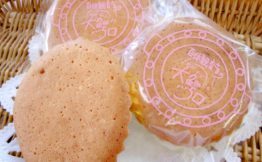 This product uses chemical-free kiku-imo which is harvested around Honjo-shi. A very soft chestnut with astringent skin soaked in syrup, wrapped with white bean jam, and coated with white chocolate.